RDEC (research and development expenditure credit) is a UK government tax incentive designed to reward innovative companies for investing in research and development (R&D). It is primarily used by large companies and is also used by SMEs in some circumstances. This article explores the key features of RDEC, including the RDEC R&D tax credit rate, qualifying activity and qualifying expenditure for the scheme. It explains how large companies and SMEs should use the incentive, and how ForrestBrown can help you maximize your RDEC R&D tax credit claim. The key features of RDEC – the rate, qualifying activities and qualifying expenditure. How to claim if you’re a large company (greater than 500 staff and either more than €100 million turnover or €86 million gross assets). How to claim if you’re an SME (fewer than 500 staff or less than €100 million turnover and €86 million gross assets). RDEC is one of two R&D tax credit incentives offered by the UK government to promote private sector investment in innovation. The scheme is for large UK companies that are subject to UK Corporation Tax, carry out qualifying R&D, and spend money on those activities. SMEs are usually eligible for the SME R&D tax credit scheme which differs from RDEC: it offers a more generous tax credit rate. However, in certain circumstances, SMEs are prevented from using this scheme and therefore claim through the RDEC scheme instead. An RDEC tax credit is worth 12% of your qualifying R&D expenditure. 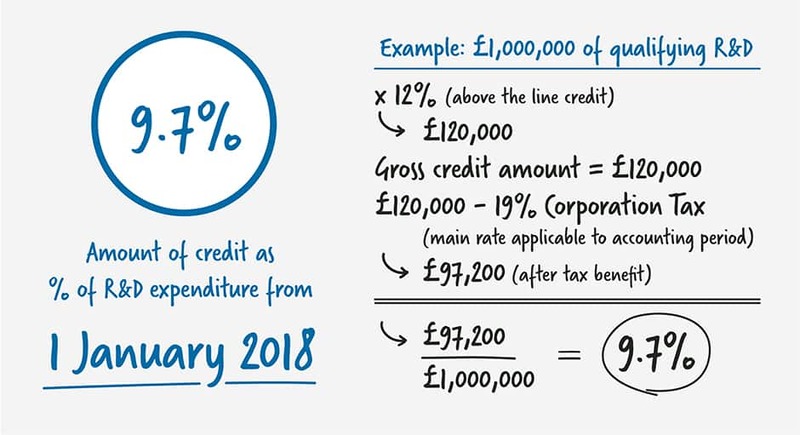 The credit is taxable at the normal Corporation Tax (19%) rate which effectively means the benefit is worth 10p for every £1 you spend on qualifying R&D. The benefit can be shown ‘above the line’ (ATL) – this means it is visible as income in your accounts. The credit is offset against your tax liability or, in some circumstances, is payable in cash. RDEC can be accounted for above-the-line in your income statement (also known as your profit-and-loss account), providing a positive impact on visible profitability in your accounts. This visibility in turn has a positive impact on R&D investment decisions. Since RDEC is independent of your company’s tax position, the benefit you receive is easier to forecast. This provides far greater stability and makes it easier for large companies to factor the relief into their investment decisions. Unlike its predecessor, the large company scheme (defunct as of 1 April 2016), RDEC can also be used by loss-making companies, as well as profit-making ones. What is the RDEC rate? The RDEC rate is 12%. However, because the RDEC rate is paid net of Corporation Tax, the RDEC effective rate you receive is worth 10p for every £1 spent. The rate was increased from 11% to 12% in the Autumn Budget 2017. This rate increase is the second since the scheme was introduced in April 2013. It is good news for companies using the incentive, especially since they already benefited from an increase in generosity when the new reduced Corporation Tax rate (19%) came into effect on 1 April 2017. The following graph shows the increase in the RDEC rate since its introduction based on the average qualifying expenditure for a large company (£8,440,633 in 2015-16 HMRC’s R&D tax credits statistics). RDEC uses the guidelines produced by the Department for Business, Innovation and Skills to define the activities that constitute R&D. These are sometimes referred to as the ‘BIS guidelines’ and apply to both RDEC and the SME R&D tax credit scheme alike. The definition of R&D for tax purposes is purposefully broad and applies to all companies whatever their size or sector. If your company is taking a risk by attempting to ‘resolve scientific or technological uncertainties’ then you may be carrying out qualifying activity. If your company is creating new products, processes or services, or modifying existing ones, there’s a good chance you’re carrying out qualifying R&D. Once you have identified your qualifying activity, you can look at the research and development expenditure associated with it. There are prescribed categories of R&D expenditure that can be included within an RDEC R&D tax credit claim. Staff costs, including salaries, employer’s NIC and pension contributions, as well as some reimbursed business expenses. Money spent on Externally Provided Workers (EPWs) and some subcontractor costs. Expenditure on consumables and materials like light, power and heat that are used up or transformed in the R&D process. Some types of software costs. Money paid to clinical trial volunteers. Further detail on each of these qualifying categories is available in our Knowledge Bank. Large companies are typically more complex than SMEs. This means that identifying qualifying expenditure in a large company’s accounts can be more demanding – especially because the sums involved are often a lot larger. It pays to have considerable technical firepower on your side to ensure your claim value is maximised, and supported with a robust methodology. Whether you are handling your RDEC R&D tax credit claim in-house or outsourcing it, ForrestBrown’s team of chartered tax advisers, technical specialists and ex-HMRC inspectors can add value to your business. In this section, we explain how to determine how you will receive your RDEC benefit and what the accounting treatment for RDEC is. It is intended that profit-making and loss-making companies claiming RDEC are treated equally, and as such, the 12% credit will be taxable, and only paid out net of tax. There are seven RDEC steps that must be applied to determine how you will receive your credit. These seven steps ensure, before cash is paid out, that the credit is used to offset any tax you owe to HMRC. The seven steps must be followed in order and, depending on your circumstances, may mean that some of your credit is carried forward to a later period before being used. Discharge any liability to Corporation Tax for the accounting period. The gross RDEC rate (12%) is offset against your Corporation Tax liability for the period to which your R&D tax credit claim relates. Adjustment to reduce to net of tax amount. To ensure that only the net amount of the credit is payable in cash, if the amount remaining after step 1 exceeds the net value of the credit (gross credit less Corporation Tax), the balance is withheld and carried forward for you to use in future periods. Limit to PAYE/NIC of R&D staff. The payment of the cash credit is subject to a cap based on the PAYE and NIC paid to HMRC relating to the employees included in your RDEC claim. Amounts in excess of the cap can be carried forward for use in future periods. Discharge Corporation Tax liability for any other accounting periods. Before the credit is paid in cash, HMRC may offset it against any outstanding Corporation Tax owed for any other accounting periods. Elect whether to surrender for group relief. You are able to surrender up to the credit amount available at this step to a group company to offset against their tax liability. But, you don’t have to do this; you can still receive a cash payment even if other companies in your group have tax liabilities. Discharge any other liabilities of your company with HMRC. Any amounts remaining at this step will be offset by HMRC against other taxes if there are amounts outstanding. For example, overdue PAYE or VAT liabilities. Cash credit payable to company. Your exact benefit will depend on the qualifying R&D activities and costs that our team of expert chartered tax advisers identify. The following illustration provides an example of how RDEC is calculated based on £1,000,000 of qualifying R&D expenditure. The RDEC regime legislation was drafted so that it could be accounted for in profit before tax (PBT), rather than as part of the tax charge/(credit) within the taxation line. This makes it more visible. In addition, many businesses monitor performance based on PBT, so including RDEC in this way makes it more likely to influence business decisions. For accounting purposes, your gross credit can be recognised above-the-line in your income statement. Typically, it shows as ‘other income’. This treatment is not however compulsory – and the precise accounting treatment followed will depend on a number of factors. These include when you prepare your RDEC claims compared to when you file your accounts and how reliably you can measure your RDEC figures. It is likely that these decisions will involve your accountant, auditor and/or R&D tax adviser. The credit itself is taxable income regardless of where it is shown in the accounts. ForrestBrown have been responsive and proactive in all of our dealings. Continuity of team has allowed them to really understand our business. 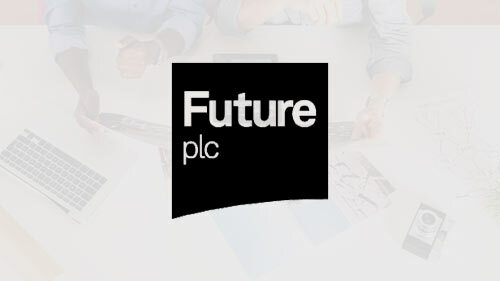 Their considerable technical firepower through in-house specialists is a great resource for a business like Future. We value our relationship with ForrestBrown and look forward to working with them on future R&D claims. We provide a bespoke service for large companies that can include managing the full R&D tax credit claim or focusing on a specific aspect of the RDEC claim process. 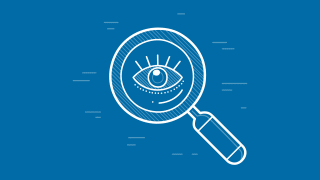 A review of your claim process to identify opportunities and risks, maximize value and increase efficiencies. An analysis of your current record-keeping processes and improvement recommendations. You might like to read an example of A ForrestBrown record-keeping project in action. Facilitate training workshops for your in-house finance or technical teams. Our senior team is highly-skilled and made up of chartered tax advisers, technical specialists and former HMRC inspectors. They have considerable experience advising large, complex businesses. Our aim is to become a trusted partner for your existing finance or tax team. The specific service we provide will depend on your business and the specific challenge you face. Ultimately, our consultancy service frees up your internal resources by working efficiently, keeping your input to a minimum. It gives you the confidence that your RDEC claim is optimised and your relationship with HMRC is protected. For R&D tax credit purposes, SMEs are businesses with fewer than 500 staff and not more than either €100 million turnover or €86 million gross assets. When it comes to recuperating your innovation investment, your first consideration will be the SME R&D tax credit scheme. It offers a higher rate of relief – 33% compared to 10% for RDEC. But sometimes it will not be possible to use this. ForrestBrown’s expert advice has proved invaluable to many SME’s who have found they cannot use the SME R&D tax credit scheme and do not appreciate that RDEC is available to them in these circumstances. However, our team of chartered tax advisers, technical specialists and ex-HMRC inspectors are adept at ensuring that RDEC is correctly applied in such circumstances – either alongside the SME R&D tax credit scheme or instead of it. Our technical firepower means we can deal with any level of complexity and it allows us to strategically use both R&D tax credit schemes together for maximum impact. You have received a grant or subsidy. You have carried out subcontracted R&D on behalf of a large business. Grants and subsidies are an alternative form of innovation funding to R&D tax credits. There is a common misconception that if an SME receives a grant it cannot claim R&D tax credits at all. This is wrong. In fact, here at ForrestBrown we suggest that companies applying for or in receipt of innovation grants should, without exception, consider R&D tax credits. Accepting a grant may restrict your use of the SME R&D tax credit scheme, but it does not exclude you from RDEC. How the grant is structured and defined will have a large bearing on how an SME uses the R&D tax credit schemes. As an SME, if you carry out R&D which has been subcontracted to you, you won’t be able to make a claim via the SME R&D tax credit scheme. If you are carrying out the R&D for another SME company, they will claim for these activities. However if you’re working for a large company, you can claim via RDEC for this expenditure. Before you decide what route to take you first need to understand the nature of your subcontracting relationship, and, in particular, who owns the R&D. Our Knowledge Bank article, How is an R&D tax credit claim affected by SMEs subcontracting to other SMEs with the same shareholders?, explores this issue in further detail. What is the difference between RDEC and the SME R&D tax credit scheme? RDEC and the SME R&D tax credit scheme are both UK government R&D tax credit incentives. What qualifies as R&D is the same for both schemes. But the schemes differ in terms of their eligibility criteria, the R&D tax credit rate, what qualifying costs can be included, and how the benefit is calculated. There are fewer eligibility criteria for RDEC than there are for the SME R&D tax credit scheme. Most notably, if you’re using RDEC, it doesn’t matter if you are grant-funded. In addition, unlike the SME scheme, you can usually claim for R&D you are carrying out as a subcontractor. The rate of relief for RDEC is less generous than the SME R&D tax credit claim – 10% compared to 33%. That said, claims made by large companies often involve much larger qualifying expenditure meaning the benefit they receive is also higher. HMRC’s latest statistics (2015-16) show the average claim made by a large company is worth £348,916 compared to £61,514 for SMEs. Fewer claims are made by large companies (1,895 compared to 23.645) and the cost of support claimed is comparable (£1.4bn). The costs that you can include for subcontracted R&D differs between RDEC and the SME R&D tax credit scheme. If you are making an RDEC claim, money spent on subcontractors does not normally qualify for relief – unless the subcontractor is an individual, a partnership of individuals or a charity, higher education institute, scientific research organisation or health service body. If you are making an SME claim, you can include 65% of payments made to unconnected parties. Contributions made towards funding relevant independent R&D only count as qualifying expenditure under the RDEC scheme. The benefit you receive from RDEC reduces your Corporation Tax liability. If you have no Corporation Tax liability, you can usually claim the credit as a cash payment. The benefit you receive from the SME R&D tax credit scheme reduces your taxable profits; if you have losses attributable to R&D expenditure they can usually be surrendered for a cash payment. You can read more on the benefits of RDEC in relation to the SME R&D tax credit scheme in our KnowledgeBank. As we hope we have made clear, RDEC can be a useful tax incentive for SMEs and is not just for large companies. The SME R&D tax credit scheme should always be considered first for SMEs – but where you do not qualify for any of the reasons stated above, RDEC might be the answer. We can help you look at the optimum way to structure your business and, if relevant, grant funding. This will help ensure that the SME R&D tax credit scheme is always used where possible, but RDEC is not missed as an opportunity. We have developed an award-winning approach to R&D tax credit claims. It is robust enough to stand close scrutiny from HMRC, and adaptable enough to be tailored to our clients, whatever their size, sector or structure. HMRC’s latest R&D tax credits statistics (2015-16) show that the number of large companies making a claim via RDEC is increasing. We believe this means its introduction has been successful. This success of RDEC is most evident when we look at the number of SMEs using it. Claims are up 2017% from 2012-13 to 2015-16. For some time now, we have argued for RDEC to be made accessible to all qualifying companies. We believe that introducing the RDEC model for SMEs would reduce the overall complexity of the R&D tax incentives. The government would still be able to target relief to SMEs. And it could offer an SME RDEC rate to deliver a benefit comparable to the SME R&D tax credit scheme. In our view, this change would boost the number of claims made by SMEs for the same reason (see benefits of RDEC above) as it has done for large companies so far. To discuss how our team of chartered tax advisers, technical specialists and former HMRC inspectors can help you with RDEC, please get in touch. Whether you want us to review a previous claim, make a claim on your behalf, or plan a future claim, our service will give you confidence your position is optimised your relationship with HMRC protected.